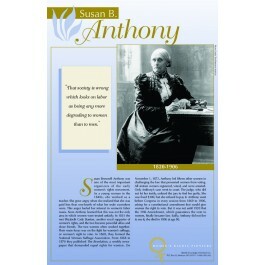 This poster of Susan B. Anthony features a photo, a quote, and a brief biography of this famous women's rights pioneer. 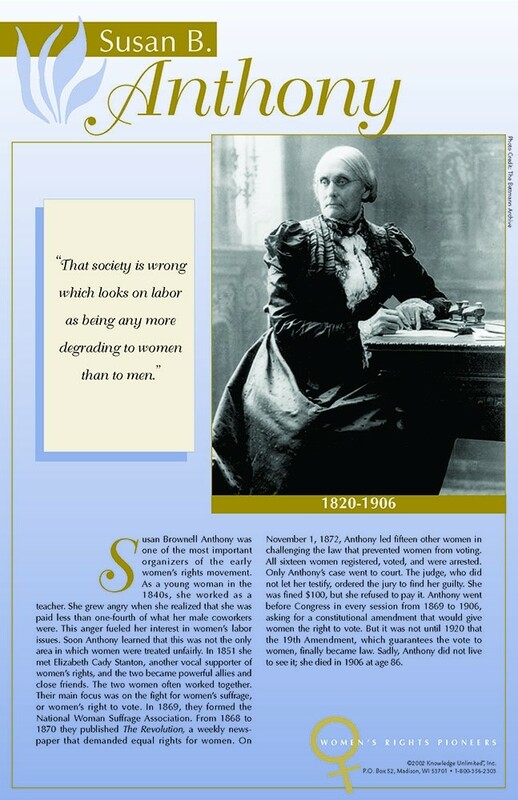 Susan B. Anthony dedicated her life to achieving women's suffrage, risking her reputation, and even her freedom to advance her cause. Her work helped to bring about the passage of the 19th Amendment in 1920, 14 years after her death.